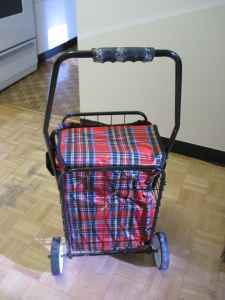 I saw your ad on Craigslist for the Cart/trolly http://toronto.en.craigslist.ca/bra/hsh/2205114480.html. I know that it is worth every penny of $1000 you are asking for, but times are very hard for me right now. I managed to sell my grandmother's jewellery and some of my kids' school supplies but I was only able to come up with about $850. I was wondering if you would consider this low ball offer?? Dont panic we will offer you so a great discount that you wouldnt need to put all these assests of your on sale and yet able to buy the cart just for you its a special offer $10.00 only . Isnt that quiet affordable ? That is quiet affordable. Do you think you should start proof reading?